The way most economists organize their ideas about the development of macroeconomics says that 1968 was a crucial year in the demise of old-fashioned Keynesianism. 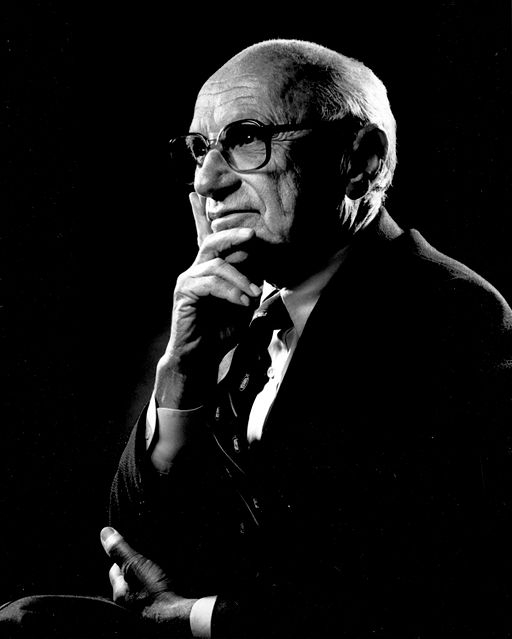 That was the year of the publication of Milton Friedman’s Presidential Address for the American Economic Association. Friedman argued that if policymakers caused a bit of inflation, this would temporarily reduce unemployment, but the effect would only be temporary, so that in due course, unemployment would return to its previous level and the inflation would remain. The reason he gave was that wage-bargainers’ expectations would adjust to the occurrence of inflation, they would incorporate their expectations into their bargain, and inflation would consequently lose its beneficial effect. I am always surprised anyone believes that. The argument itself amounts to saying that expectations adjust to reality. Well, yes. But how could it be that economists did not know that until 1968? That, though, is only the beginning, because Friedman’s supposed innovation is the beginning of a story about a whole revolution of thought in macroeconomics. Supposedly, up to 1968, policymakers had believed that a policy of inflation would be effective in lowering unemployment – an idea often labelled ‘the Phillips curve trade-off.’ After 1968, apparently, they had to rethink this. That again, supposedly, led to a great debate at the end of the 1960s and into the 1970s about whether Friedman was right. In due course, says the story, with inflation seeming to rise ever higher, Friedman’s side was seen to have won that debate. This was a great intellectual victory of ‘monetarism’ and a defeat for ‘Keynesianism’. All these things can easily be found in undergraduate textbooks of macroeconomics, and make pretty frequent appearances in bulletins of central banks as well. It sounds like an important story, and makes Friedman’s Address a key moment in the history of economics. But it sounds like an unlikely story as well. Not only did no one think of expectations adjusting until 1968, but when it was suggested, apparently they denied it. What else was that great debate about? There is an interesting resolution. The argument Friedman made was very old news in 1968. Everyone already knew it. There a number of earlier statements, plenty of them by prominent authors in highly visible places. Moreover, Friedman’s own statement gave it no fanfare at all; he stated it just as if it were a well known argument. But more than that, Friedman himself had already made the argument on four previous occasions, the first of them a decade before the supposedly crucial lecture. People write that Edmund Phelps had the same argument in print before Friedman. But that was in 1967, so it hardly makes a difference. There are two much more interesting things than that though. One is that Phelps did not even use the argument – as Friedman did – to say that inflationary policy was a bad idea. He was just using it – mathematical-economics-style – to work out how quickly inflation should gradually be raised to bring the biggest benefit. But the other interesting thing is this: he even said the argument was not original, naming some of those who had made it before. For some reason, that fact has made no impact at all on all the authors who quote him as joint-originator of the argument. The fact that the Friedman/Phelps argument was so well-known is the first clue that the rest of the story about the Phillips curve is all wrong as well. The idea that policymakers thought that a policy of inflation would reduce unemployment is a long way from the truth. The idea that there was any argument about whether expectations would adjust to reality has almost nothing going for it – of course they do. On the other hand, there were arguments that the association of slow inflation with lower unemployment had nothing to do with mistaken expectations, but rather everything to do with overcoming various sorts of frictions. The same thing is widely believed today, so it was certainly not the subject of any revolution started by Friedman. The debate in the 1970s was about other, much more interesting matters entirely. Not only have we all been teaching a story about the Phillips curve which just is not true, but we have been teaching one which makes economists look very foolish as well. It is a strange thing what a bit of actual reading of old arguments in economics can turn up. James Forder has been a senior teaching member of Oxford University since 1993 and is Tutor in Political Economy at Balliol College Oxford, where he is also Vice Master. He is also the author of Macroeconomics and the Phillips Curve Myth (OUP 2014).